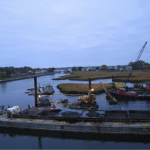 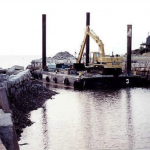 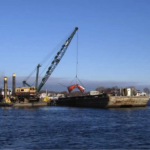 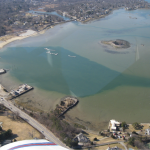 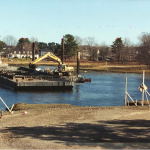 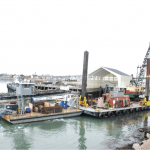 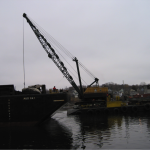 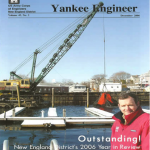 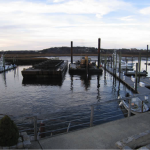 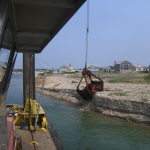 This project included the Removal of 525 cubic yard of Cambridge Argillite to deepen the Boston shipping channel to 42’ MLLW. 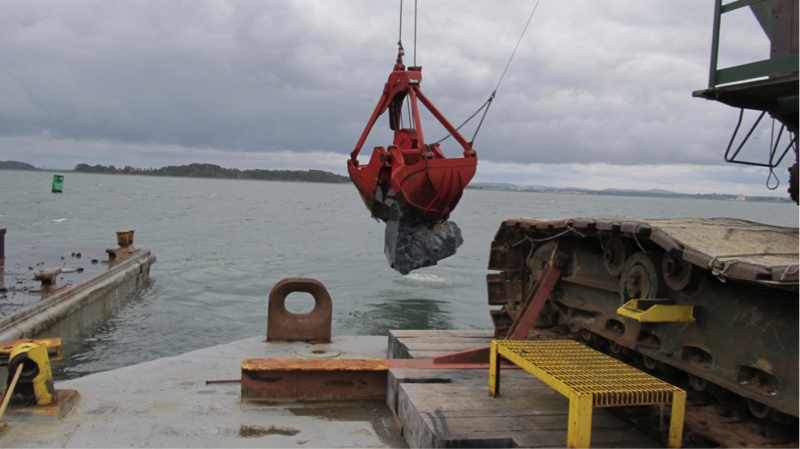 The rock ledge was drilled and blasted by GM Drilling and Blasting, with dive work by Black Dog Divers, all working from Burnham’s three spud barge TRINITY. 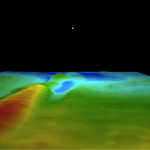 There were seven different locations blasted, taking the controlling MLLW depths from 37’ to 46’ in certain spots. 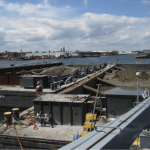 This project contained many high risk factors, such as dynamite, drilling in rough seas, and dive work in a high traffic channel. 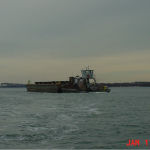 Much of the operations were halted due to incoming and outgoing ship traffic that needed room to maneuver as well as the stoppage of any dynamite usage. 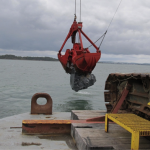 The rock was dredged out using a heavy round nose clamshell bucket, pulling up rocks in excess of 12 tons and transferred to a designated offshore location in Mass Bay.